I have to say that it is with a heavy hear that I write this post. Why? Well, I really like Mochi Media. MochiAds are absolutely amazing, a breakthrough in terms of developer, publisher and advertiser offer. Add to that the value added services of leader boards, encryption and statistics, both through MochiAds for your revenue advertising needs or MochiBot for your overall statistics needs and you have a hell of a technical solution for whatever you want to do with your game. But I fear that Mochi is starting to feel the pain from their own growth. Community is way too big and flooded by a lot of developers and portals not worried with quality but rather the quick buck and Mochi, which by definition wants to make money, opens their doors wide to them. Actually anyone can get into Mochi, it’s that easy, just create an account, log on and hope for those cents coming in your way. 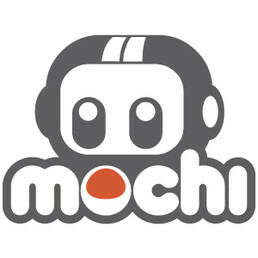 Mochi recently partnered with Google in order to have Google Ads within MochiAds. While this is certainly good news since Mochi suffers from a severe problem of CPM in many non-English speaking countries, most developers won’t even notice it. There are too many developers there, so, too many games, so, the CPM has to be divided by all. Mochi staff acknowledges in their forums that there are a lot of unpaid impressions. This can only happen because there are too many games. As CPM keeps getting lower and more developers join Mochi adding crappier and crappier games, the route to the continuous success seems to slip Mochi’s horizon. Developers, specifically the ones that bring a load of hits, will probably hit another service, looking for higher CPM and there’s some serious competition building up. Mochi Media has the best technical offer, but developers didn’t go there for that, they went for the money and if there’s more money elsewhere, that’s where they’ll go, leaving Mochi with the newbies and the bad ones.